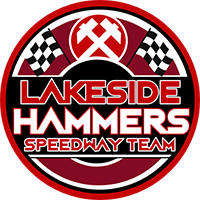 Lakeside are the new Championship leaders after their 56-32 home win over Workington. It was another convincing display from the Hammers from start to finish as they leapfrogged rivals Peterborough into top spot. The result means the Purfleet side remain unbeaten at the Arena-Essex Raceway and have lost just one of their last nine fixtures in all competitions. A delighted Hammers team boss Will Pottinger said: “It was another impressive win from the team and again there were plenty of positives to take from the meeting. “All the boys rode well but it was particularly great to see Kyle Newman score and ride the way he did. “It’s pleasing to be in the position we’re in right now but we know there’s still a long way to go. Skipper Richard Lawson dropped just one point to visiting captain Ty Proctor in Heat Seven while Nick Morris again led by example in the No.1 role. 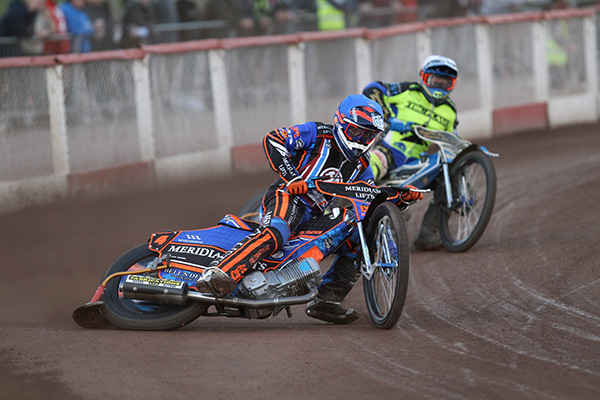 Kyle Newman secured a four ride paid maximum with fellow Brit Adam Ellis again demonstrating another solid showing. Connor Mountain did himself proud standing in for the injured Ben Morley. It was another night of experience for Alfie Bowtell who showed more encouraging signs than his score suggests. The Hammers now go into a fortnight break with their next fixture at home to Berwick on Friday, June 15. Richard Lawson 14, Nick Morris 12+1, Kyle Newman 10+2, Adam Ellis 8, Zach Wajtknecht 6+2, Connor Mountain 4+1, Alfie Bowtell 2+1. Mason Campton 10, Ty Proctor 9, Dan Bewley 4+1, Rasmus Jensen 3, Rene Bach 3, Kyle Bickley 2, Nicolai Klindt 1.